UPDATE: This article has been edited from its original version, which was posted on April 14. See corrections at the bottom of the article. 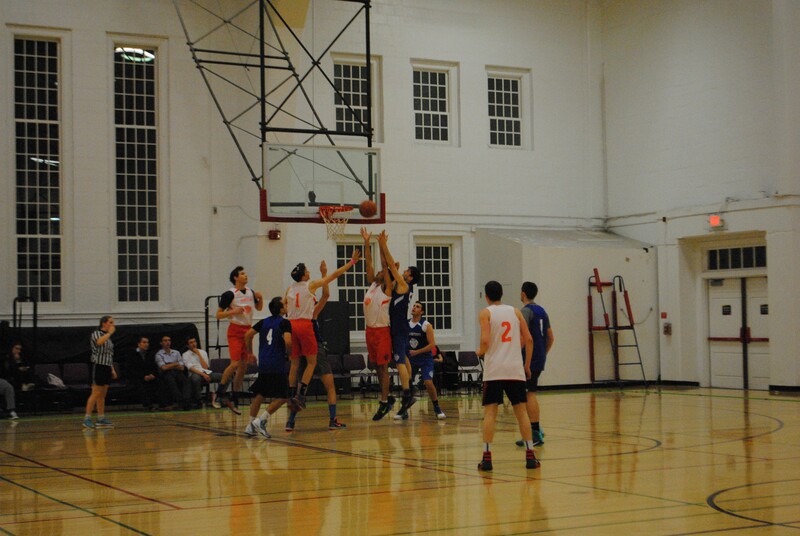 With the clock winding down in a semifinal match in the 2017 National Hillel Basketball Tournament, Justin Hod of Yeshiva University’s Yeshiva Sokol elevated for what he believed would be a game-winning shot for his team. Unfortunately, the shot came up short, time ran out and his team was knocked out of the annual tournament. To make matters worse, the loss came at the hands of his two brothers on the opposing team, the Yeshiva Weiss . “It’s definitely something that I keep on my mind for this year,” said Hod, a junior finance major. This is just one of many scenes that come from a weekend of basketball in NHBT at the University of Maryland. In its eighth year, the tournament will take place from April 20 to 22 and bring in over 30 schools from around the country. “It’s a lot of hardworking students putting on an event for their peers,” said David Stein, an NHBT co-chair. Stein, who is helping set up the student-run tournament for the third year, is overseeing a board of students who are divided up into several committees, while also gathering sponsors and funds for the three-day event. Teams will arrive on Thursday, with funds for the trip varying for each school. Some students’ trips are being funded by their schools’ Hillel and other donors, while others are paying completely out of pocket. Joel Gutovitz, a University of Kansas junior, said he is paying for his flight with his own money. “That’s a testament to how excited people are for the event that they are willing to pay whatever it takes to get flown out there,” said Gutovitz, a human biology major. Games begin on Friday; following competition, teams will be treated to a Shabbat dinner for over 70 people, getting the opportunity to relax from a day of basketball and socialize with students from other schools. Saturday features a talk from a guest speaker, followed by a skills competition, which includes a 3-point competition and slam dunk contest. The event concludes on Sunday with the championship game. According to NHBT regulations, schools are permitted to enter a maximum of three players into the tournament who have experience playing college basketball. Noah Karras, who holds the school record at the University of Chicago for 3-pointers in a game with 11, is participating in the tournament for the second straight year. “I think that [experience] will translate and will definitely give us advantage,” said Karras, a junior sociology major. Besides the opportunity to compete in the tournament, students from around the country are exposed to Maryland’s campus and the surrounding Washington, D.C. area. When students arrive in College Park on April 19, they’ll look to dethrone Yeshiva University’s Yeshiva Weiss, last year’s winner. More important than that, they’ll look to interact with fellow Jewish students, showcase school spirit and create lifelong memories. “I think that for [Kansas students], it’s worth the trip all the way from Kansas to Maryland because it allows us to help represent the Jewish presence within the Midwest, especially since most of the teams are from the East Coast,” said Samantha Agranoff, a University of Kansas senior. CORRECTION: Due to an editing error, part of the sentence identifying Joel Gutovitz was left out. No Replies to "Competition, social scene draws students from around country to National Hillel Basketball Tournament"